I love this time of the month, when we get to share FUN ideas with the new Stamp of the Month set. 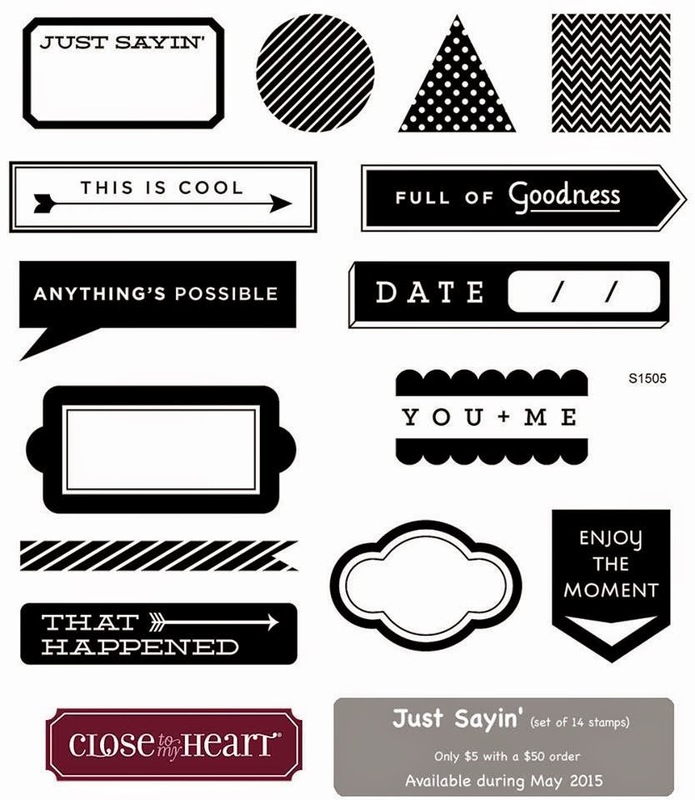 As always, the stamp of the month set is $17.95 or only $5 with a purchase of $50 or more. If you're coming from Lela's blog you are headed in the right direction. 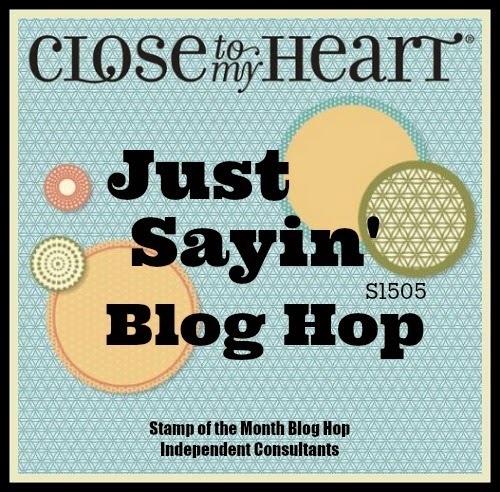 If you're just joining the hop here, on my blog... no problem! You'll find the link to the next blog at the bottom of this post. I've made a lot of cards the last several months for the Stamp of the Month hop... so this month I opted for a layout. I take a lot of photos of my garden every year. I don't scrapbook them all, but I am making some changes in my gardens this year and I know I'll want to scrapbook the new plants and sculptures I'm adding. So... I designed this fun layout and will add photos later. I used the patterned triangle stamp to create a fun banner. I used the small diagonally striped banner stamp to create the yellow banner in my layout. I used the "date" and "full of goodness" stamps to add some extra elements to the page. The colors are kind of muted... because I am expecting all my pretty flowers in pinks and corals to brighten everything up. National Scrapbooking Month paper pack "Taste of Summer"
Hope you are getting lots of great ideas on the hop! Thanks for stopping by! Now head on over to Dana's blog to see what she's created for you! The cut of the patterned paper reminds me of a pot. Perfect for garden shots! What an interesting layout! I agree with Paige -- reminds me of a flower put waiting for garden pictures. 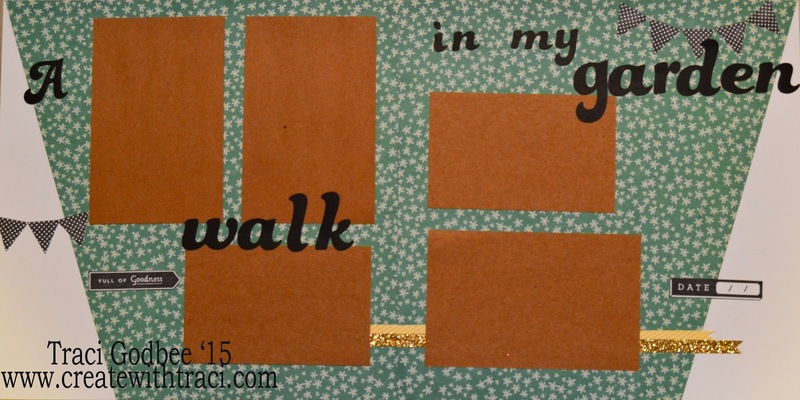 Traci, love the layout but also love how you created elements like banners from this set. Nice job!! Would lot have put these colours together but they go so well! Love the floral TOS paper on your layout too.